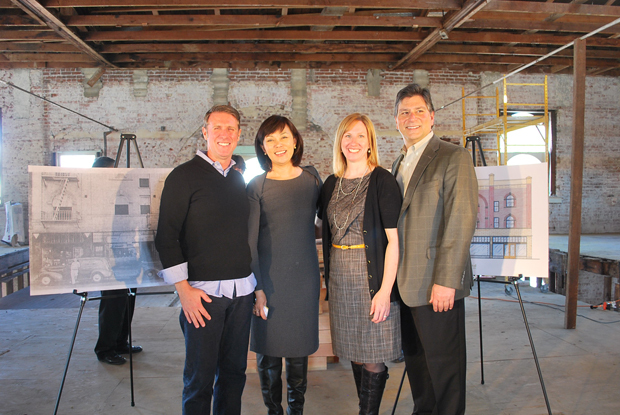 From left: Richard Lewis of JR van Dijs; Julia Huang, CEO interTrend Communications; Amy Bodek, Director of Development Services; and Kraig Kojian, President and CEO Downtown Long Beach Associates. Photos by Sarah Bennett. In 1905, it was the headquarters for a local cult. Then it became a popular speakeasy and, later, a brothel and flophouse. 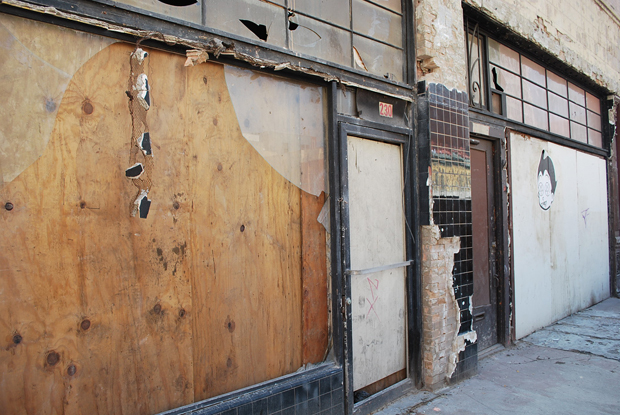 When the City of Long Beach purchased the Psychic Temple building at a tax auction in 1998, its rooms were filled with several dozen long-term residents and its ground-floor retail spaces were in sad shape. Today, the condemned and dilapidated structure at 224 E. Broadway is being primed for a long-overdue restoration, after which it will become headquarters for Long Beach-based interTrend Communications—an award-winning advertising agency that specializes in connecting Fortune 500 clients with Asian-American market segments—in what is being hailed as one of the most ambitious projects in the state since the dissolution of the redevelopment agencies program. Announced at a media event held on the building’s newly-stable third floor, interTrend’s plans are to renovate the entire building, creating 15,000 square feet of mixed use space, including 4500 square feet of retail on its ground floor. Interior of the Psychic Temple building today. From the third floor lookig down onto the second. Because it is in such an intense state of disrepair, the Psychic Temple building has been an ongoing development challenge for the City. Designated a historic landmark in 1989, it could not simply be torn down as its neighboring structures were to accommodate Promenade projects and finding developers to invest in a property with a negative assessed value was difficult. Various proposals circulated over the years to use public funds to convert it into everything from a youth hostel to a residential loft with many ideas opting to demolish the building but maintain the historic brick facade. But the timing was never right, the money for projects harder to find. Creating a public-private partnership with interTrend at the Psychic Temple, however, has made adaptive reuse of the space a very imminent reality. The company—which currently rents office space in the 555 Ocean building—purchased the building from the city for $1 and will take on the financial burden of renovating the three-story structure. Local developer JR van Dijs (think: East Village Creative Offices and the Art Theatre restoration) will perform the makeover, bringing more than 20 years experience in urban redevelopment and adaptive reuse to the project. The dilapidated exterior of the Psychic Temple building. The estimated cost of the restorations is $2 million, with construction work beginning this week. Huang anticipates that she and her company’s 80-plus employees will be moving into the new and improved Psychic Temple by the end of 2013. To learn more about interTrend, visit the company’s website. 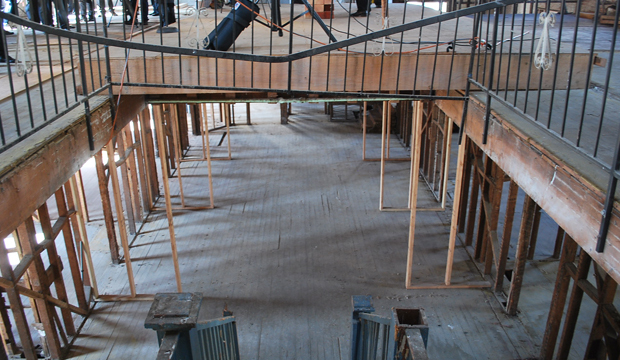 To learn more about interTrend’s restoration of the Psychic Temple and how this building’s intriguing history reflects that of the city as a whole, read the company’s blog dedicated to the building.